There is a common myth that freezing kills bacteria but this is not the case. Freezing does not kill bacteria, they simply become inactive when frozen due to the low temperature, but also the lack of available water. Frozen food will usually keep for a long time, although the taste or texture of the food can deteriorate due to ice crystal damage. When the food starts defrosting, its core temperature rises and water becomes available, providing the ideal conditions for bacteria to grow. The warmer the temperature the more active bacteria are, which is why it is recommended to defrost food slowly and safely, preferably overnight in the refrigerator. This way there is less risk of harmful bacteria growing in the food. Once defrosted, food will spoil in the same way as if it were fresh, so handle defrosted foods in the same way as you would raw. If you defrost any food you must do this in a way that minimises the risk of harmful bacteria growing, or toxins forming, in the food. While it is being defrosted, you must keep food at a temperature that would not result in a risk to health. 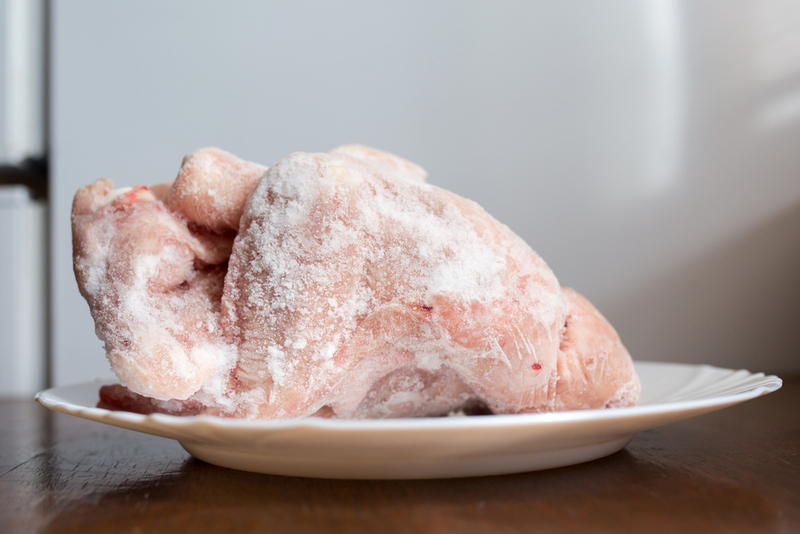 Where liquid coming from the defrosting food may present a risk to health, such as when defrosting raw meat, you must drain it off adequately. Defrosting in a fridge without correct care could result in water dripping on to other foods, causing contamination and food poisoning. 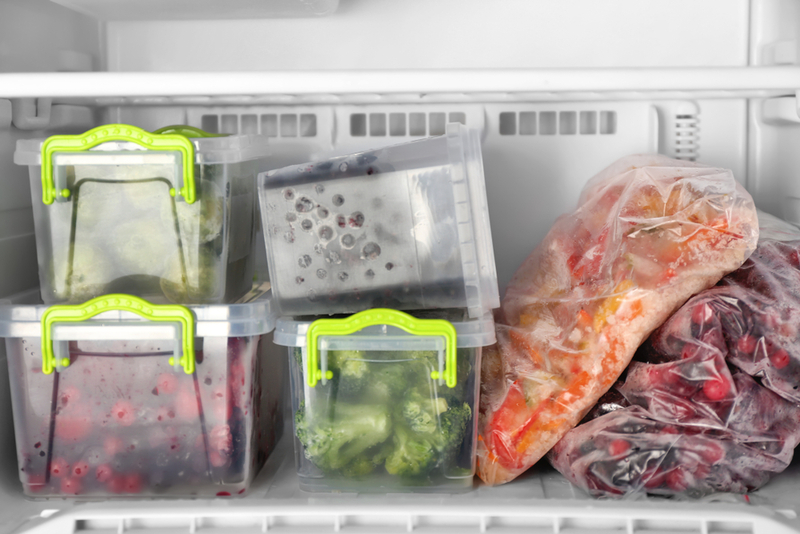 After defrosting, food must be handled in a way that minimises the risk of harmful bacteria growing or toxins forming, by keeping it in the fridge. Correct wrapping and packaging is vital. The time it takes to defrost food varies depending on the product but make sure all food has full defrosted before cooking. For example, a chicken that is not thoroughly defrosted in the middle may never reach the required internal temperature, therefore not killing all potential bacteria. Refrozen food has a higher risk of causing food poisoning because, when food is thawed, bacteria can multiply rapidly, particularly if at room temperature. So if the product is refrozen these bacteria will survive and when defrosted again, it is more likely that the bacteria would reach harmful levels. However, if you cook defrosted food before refreezing, for example turning defrosted chicken into a chicken curry, any harmful bugs will be killed off, making the food safe to freeze. Any defrosted food can be stored in the fridge for up to two days before it needs to be cooked or thrown away. To learn more about food safety visit our video online food safety course.